NVIDIA has released a new Game Ready driver that is available to download for RTX and GeForce GPUs. The new driver adds Deep Learning Super Sampling (DLSS) beta to Final Fantasy XV and brings updates to GeForce Experience too. 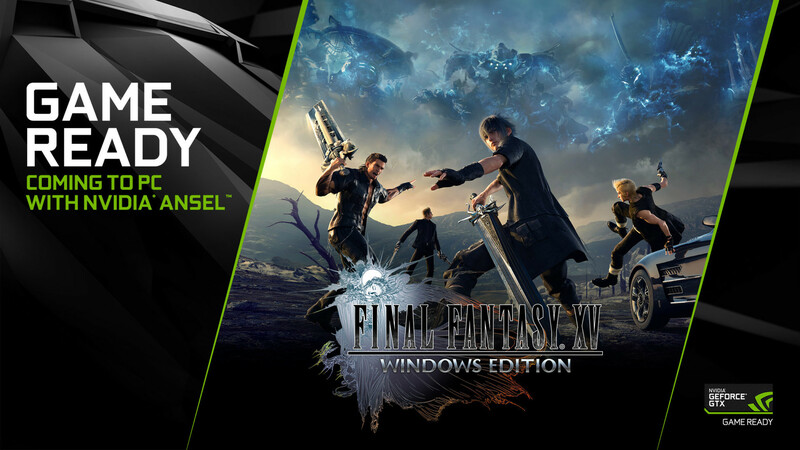 NVIDIA has released a new Game Ready driver (417.35 WHQL) that brings its DLSS technology, which is currently in beta, to Final Fantasy XV. DLSS is NVIDIA's new version of anti-aliasing that utilises "deep learning and AI aspects of RTX" and "TensorCores in the Turing GPU", according to a company press release, to deliver improved image quality over traditional forms of anti-aliasing. The difference that DLSS makes in FFXV can be seen in the video below. The new Game Ready driver also updates GeForce Experience (v. 3.16.0.140) and introduces Ansel RTX beta, which adds the technology to "hundreds of games". The new driver fixes DVR recording issues within GeForce Experience and an issue where games would minimise when the in-game overlay is toggled among other fixes. The full GeForce Experience release notes and download link can be found here. NVIDIA has also fixed an issue where framerates were unexpectedly dropping to under 30 FPS on some notebooks, while it has resolved the problem in Rocket League where the game would crash after launching to a white screen. Moreover, the new driver fixes flickering texture corruption in Hitman 2 Silent Assassin. However, the driver also brings new issues on Windows 10. NVIDIA warns that users may still experience DPC watchdog violations when running multiple GeForce GTX 1080 Ti GPUs on motherboards with PLX chips. Additionally, the new driver causes the cursor to briefly corrupt when hovering over specific links in Firefox. Finally, the company advises that connecting a G-Sync monitor and a non-G-Sync HDMI monitor may cause screen flickering if G-Sync is enabled. Please see the NVIDIA release notes here for a full list of open issues and changes associated with the new Game Ready driver.